Mr. Wroe is Music Director of the New Jersey Festival Orchestra, Opera at Florham NJ, Principal Conductor at Festival of the Voice in New York, and was a regular conductor at New York City Opera. In 2014 he leads the Brown University Symphony Orchestra (Rhode Island) as the Special Visiting Artist. Mr. Wroe has had a long association with New York City Opera, leading numerous productions, and performing and assisting in over 100 presentations. Orchestras conducted include the Boston Symphony Orchestra, Saint Louis Symphony Orchestra, Royal Scottish National Orchestra, L’Orchestre National de Lille, Symphony Nova Scotia, New Jersey Symphony, Kansas City Symphony, Santa Fe Symphony, New York City Ballet, L’Ensemble de Paris, Neue Brandenberg Symphony, L’Ensemble de Basse-Normandie, L’Orchestra Lamoureux with cellist Mstislav Rostropovitch, Jerusalem Symphony Orchestra, Das Loh-Orchester Sondershausen, Philharmonische Orchester der Stadt Heidelberg, Delaware, Harrisburg, Huntsville, De Moines Symphiess, and numerous tours of Western Austria with Vorarlberg Symphony and at the Bregenz Frühlings Festival. 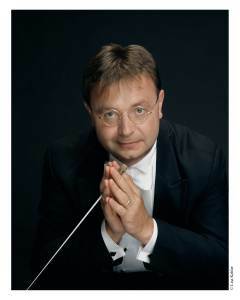 Maestro Wroe is a preferred conductor in Asia, having directed the Macau Symphony, Shenzhen Symphony, Wuhan Symphony, Guiyang Symphony, Hang Zhou Symphony, Taipei Symphony Orchestra and Taiwan National Symphony. Maestro Wroe was Music Director of Music on the Mountain: Garrett Lakes Arts Summer Festival in Maryland from 2000 – 2006, and Music Director and Founder of the Kansas City Camerata from 1989-1996. 2007 marked Maestro Wroe’s recording debuts with L’Orchestre National de Lille on the TransArt label with pianist Bruno Fontaine, and broadcast recordings, through Austrian Broadcasting Authority (ORF), with the Vorarlberg Symphony. In addition to his residency at New York City Opera, from 1997-2002 Maestro Wroe Maestro Wroe served as Principal Guest Conductor at the City Opera of Heidelberg, conducting much of the major operatic repertoire there. He has served as the Principal Conductor at Opera Delaware, directed the summer ‘Opera Under the Stars’ series at the 7000 seater Garden State Arts Center in NJ, and initiated the Opera in Concert series with the NJ Festival Orchestra to critical review. He opened the newly formed Fresno International Grand Opera for their production of La Bohème, and has served as Judge for the Metropolitan Opera National Council, New Jersey Regional Auditions. Maestro Wroe devotes considerable time to the musical education of young people, leading the Taipei Symphony Orchestra Summer Youth Festival, Principal Conductor at N.Y. University Symphony Orchestra (2008-2011), and Director or Orchestras at Montclair State University (2000-2005) From 1993-95, he conducted in the Boston Symphony Orchestra Youth Concerts, and has taught and given master-classes at New England Conservatory, Harvard University, Brown University, Rutgers University and University of Alabama. He has served as Judge for the Music Assistance Fund administered by the League of American Orchestras, and was the Chairman of the Jury of the New Jersey MTA State Concerto Competition. Early in his career he was Associate Conductor of the Boston Symphony Orchestra, leading the orchestra in Tanglewood and in Boston’s famed Symphony Hall, in addition to touring Europe with the Boston Symphony Orchestra Chamber Players.